●NEW Tsuruya Department Contact gallery information "April and May"
has been completed on December 21. The Kagomachi Arcade is one of the many arcades and shopping areas that make up downtown Kumamoto City. 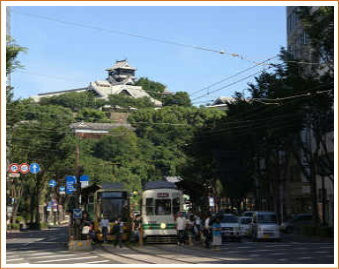 It is easy to get to thanks to its close vicinity to the Torichosuji bus stop, and offers quick access to Kumamoto Castle, Kumamoto City Hall, Tsuruya Department Store, the Shimotori Arcade, the Kamitori Arcade, and the Shinshigai Arcade, so please come and visit! Support from the Kumamoto City Public Corporation for Parking Facilities was utilized in making the Kagomachi Arcade Website.